Driven by the increasing security expectations of business partners and customers as well as new legal regulations, more and more companies must create control systems which reduce fundamental compliance risks and identify possible gaps early on. With the EASY Compliance Management, you have a practical tool for collecting compliance-relevant data, be sure of compliance rules, and obtain approval from supervisors or compliance officers if necessary. The Compliance Manager is a Cloud-based, standalone application and is mobile-capable. A simply useful tool. Compliance with the steadily changing regulatory requirements requires an in-house control system to manage and safeguard behavior in accordance with the law: so-called Compliance Management Systems (CMS). This means all organizational and process-related measures which are aimed at following and complying with the “rules” – that is laws, guidelines, and regulations, but also industry standards. The EASY Compliance Manager is an essential component in your CMS System. Thanks to quick installation, you are able to make a speedy advance in the implementation of a Compliance Management System. You can define specific rules of behavior in the management system, for example regarding gifts and invitations, donations and sponsorship, and the awarding and accepting of bids. The EASY Compliance Management includes the rule-based control of the workflow between the employee, supervisor, and compliance manager. The EASY Compliance Management supports mobile use on all devices such as smartphones and tablets. The user-friendly interface and the incredibly easy use provide quick familiarization and increases the motivation of your employees to use the app. No additional user licenses are needed for the Cloud-based app, so it can be quickly and easily rolled out, even in heterogeneous system landscapes. The EASY Compliance Management can be considered a module (system support) in an existing Compliance Management System. 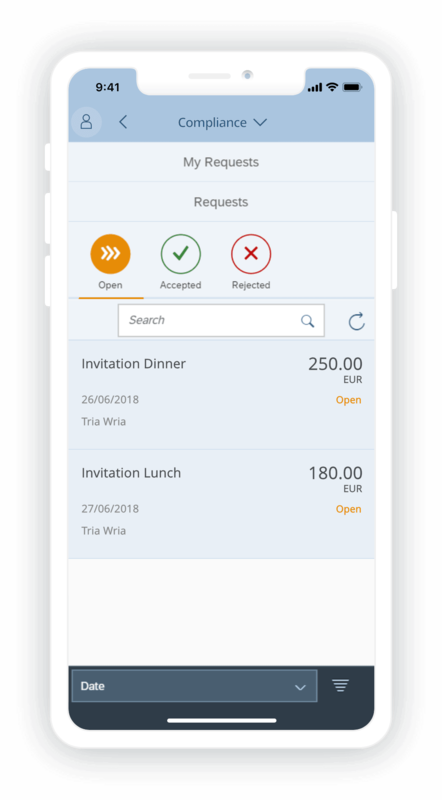 The APP can be used as part of a certification in accordance with the “Standard for Compliance Management Systems” (TR CMS 101:2011) or IDWPS 980 as a solution component. 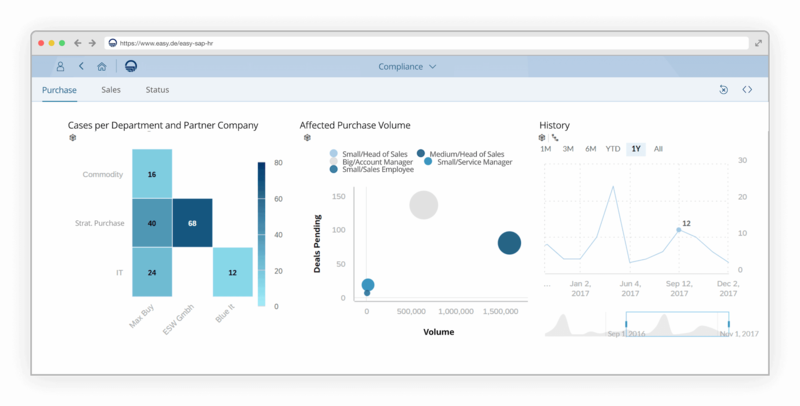 EASY Compliance Management is based on the SAP® Cloud Platform and can optionally be linked to the SAP® Analytics Cloud. The solution for SAP can be used as a standalone, without licenses for SAP or SuccessFactors being needed. Or it can be integrated in existing systems. That could be ECC systems, for example, or third-party systems.